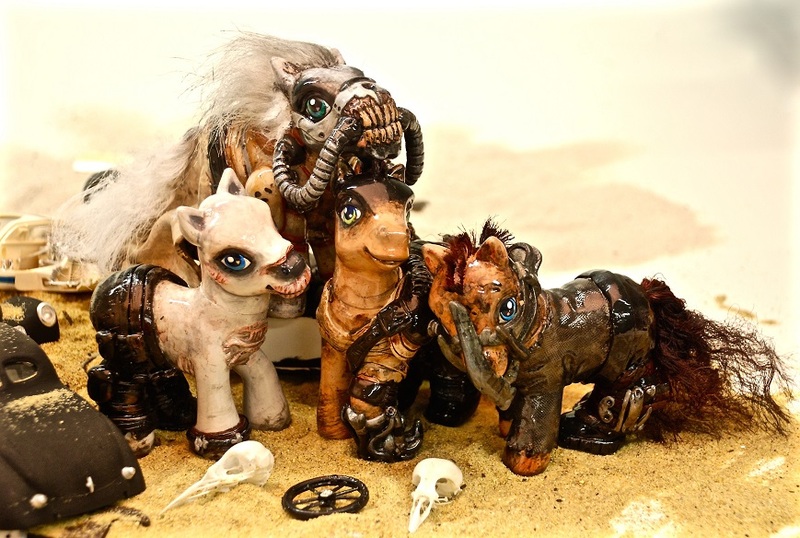 Custom toy maker SaveTheWailes has created a collection of My Little Pony toys remodeled for the world of Mad Max. Crossovers really are the darnedest things. 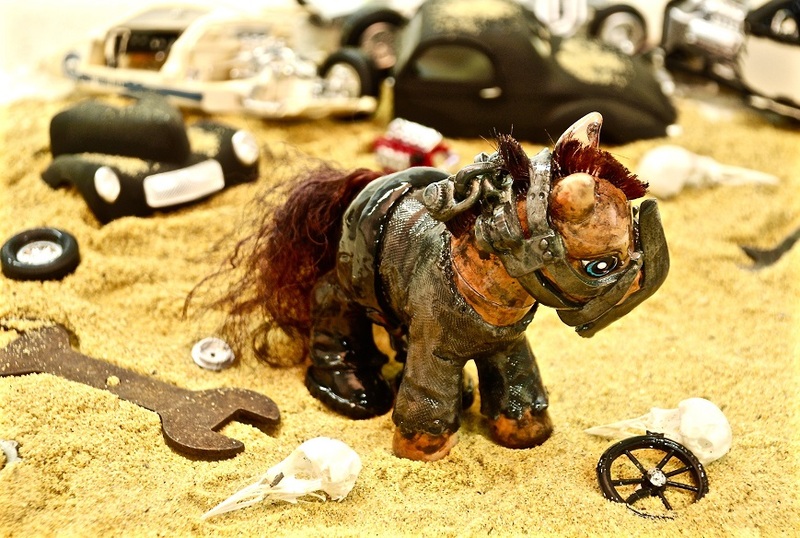 In fact, a lot of time, until you see two things mixed together, you would never imagine them as being a good match. 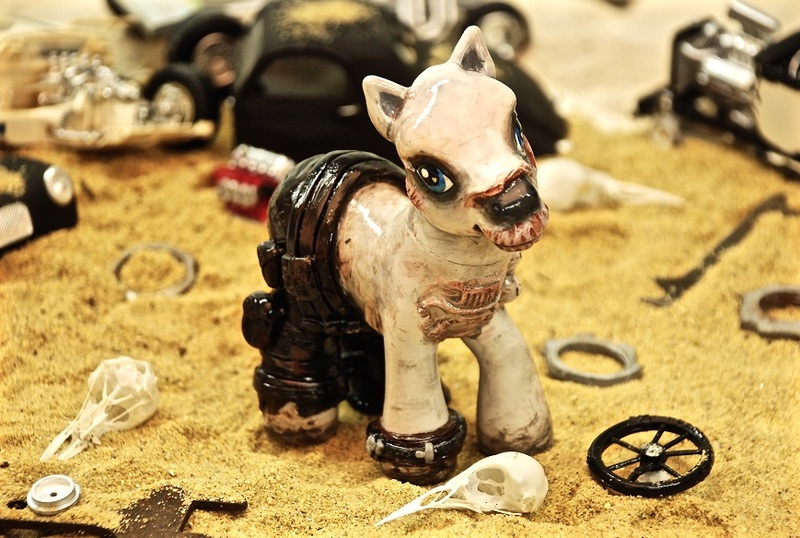 Take My Little Pony and Mad Max. 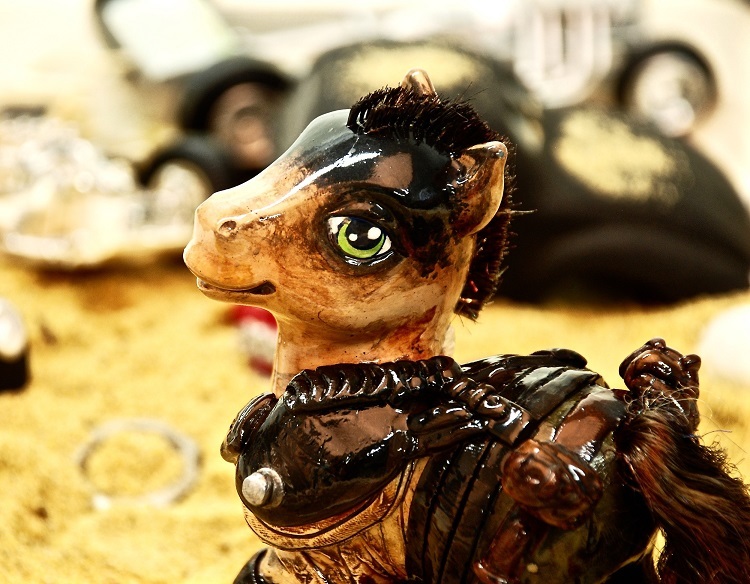 One's an animated series about colorful, family-friendly ponies while the other's a post-apocalyptic action series complete with all the violence and car chases you could ever want. The thing is, when you really think about, the most recent iterations of both series actually have a lot in common. Both, for instance, spent years lying mostly dormant until they received unlikely revivals that made them into big hits with tons of fans. And wouldn't you know it, when you mix them together the end results are pretty awesome. 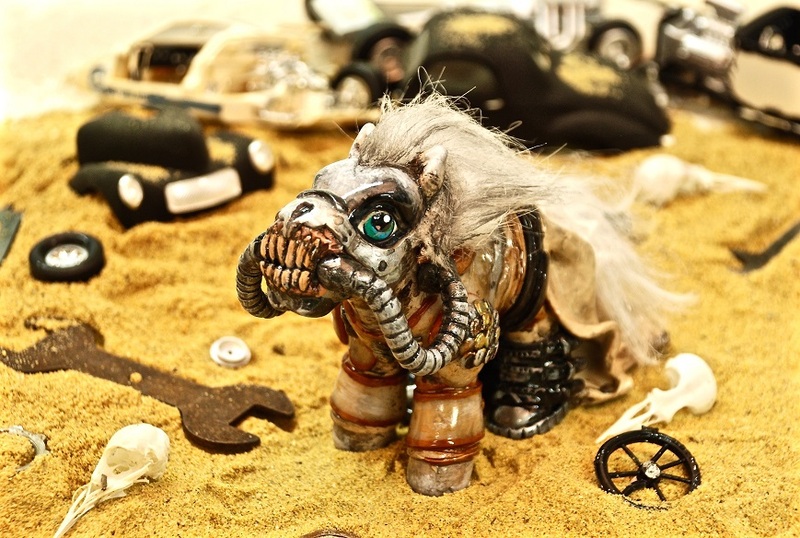 If you don't believe us, we'd suggest you take a look at a series of Mad Max/My Little Pony toys recently put together by custom toy maker SaveTheWailes. 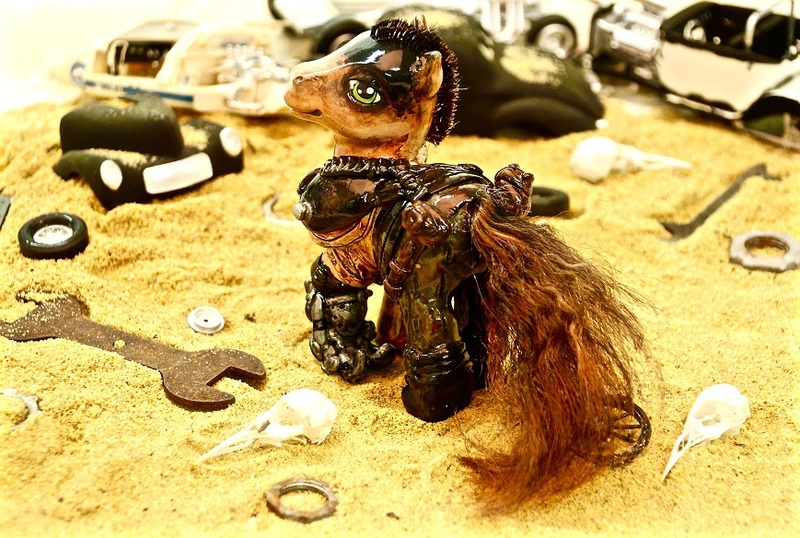 Ms. Wailes created the awesome toys by taking some toys from the original My Little Pony TV series and modifying them with polymer clay, acrylic paint, leather and fake fur. 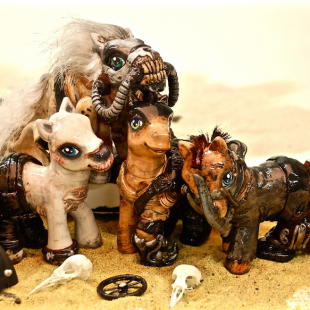 She based her four Fury Road ponies off of the characters Nux, Max, Furiosa and Immortan Joe. 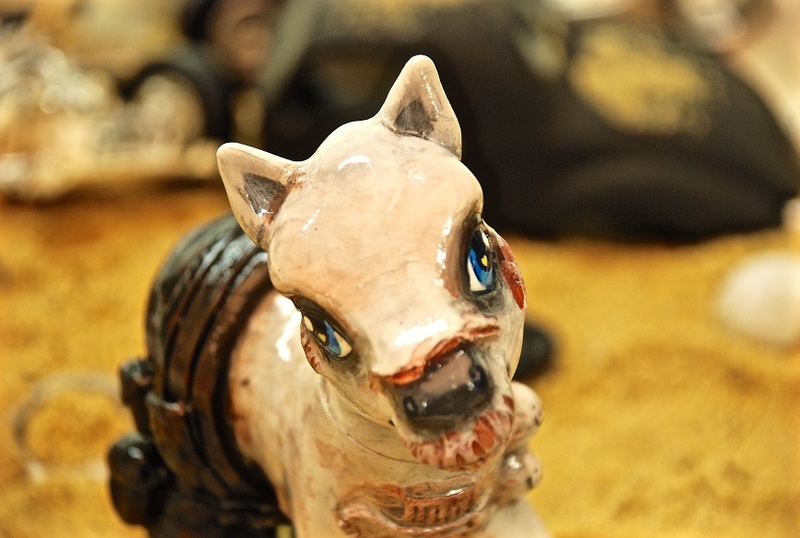 People interested in purchasing these will be able to find them and their creator at the next Awesome Con. 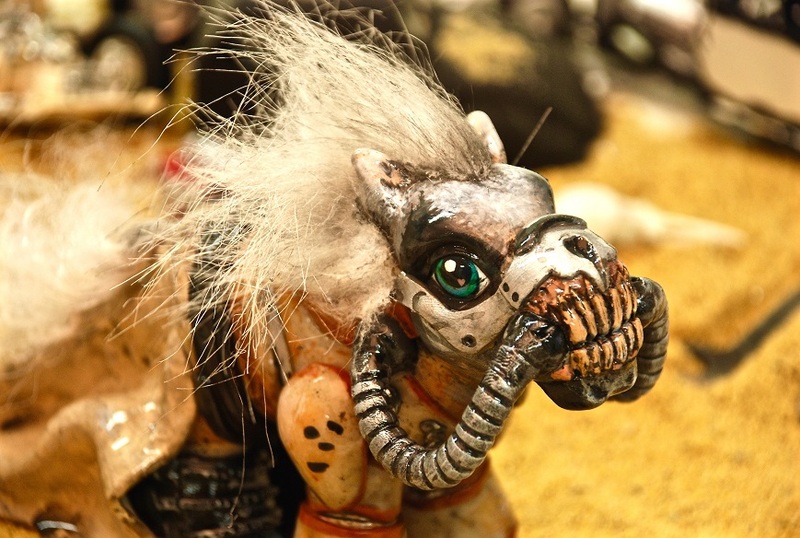 Now we just need some Mad Max renditions of the modern My Little Pony characters. 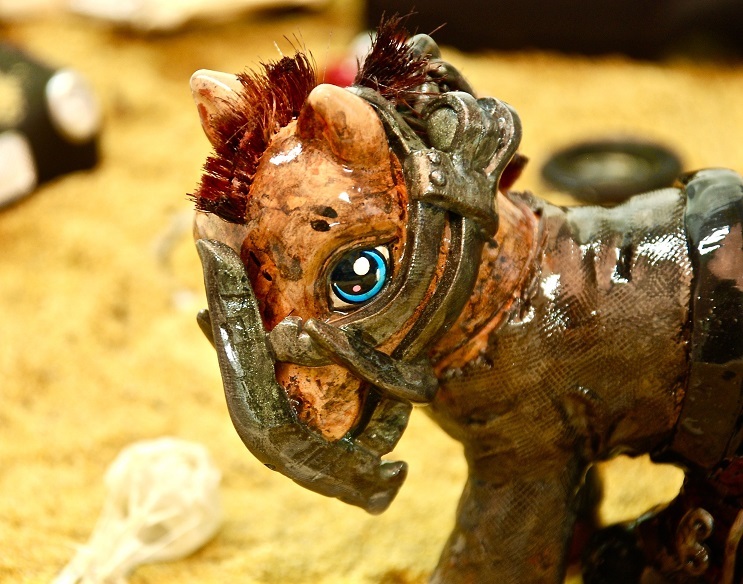 Don't get us wrong, Twilight Sparkle as Solid Snake was great, but we want to see the modern cast get their own Fury Road transformations. 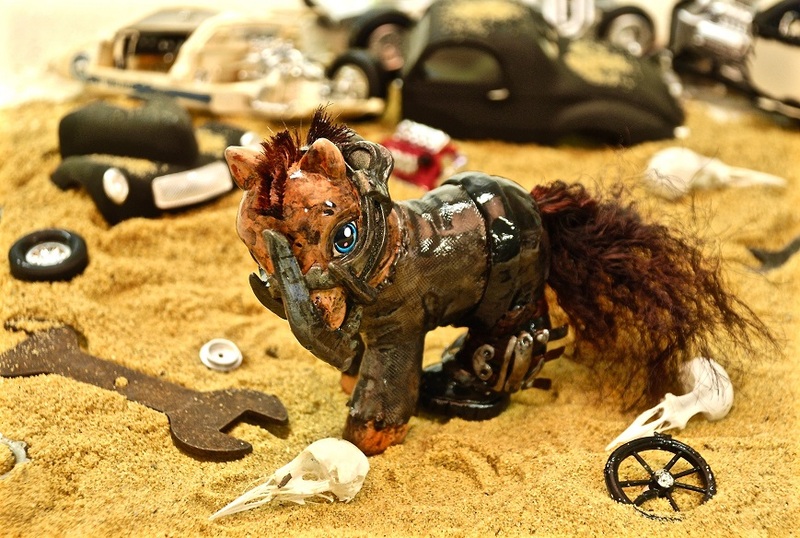 Let us know what you think and which ponies and Mad Max characters you'd like to see mixed together.